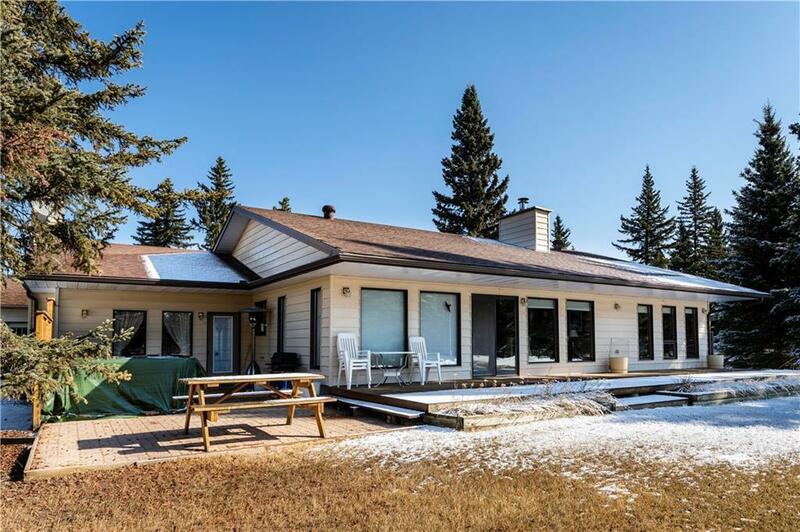 Picturesque 75 acres in a great location close to town and the Red Deer River. 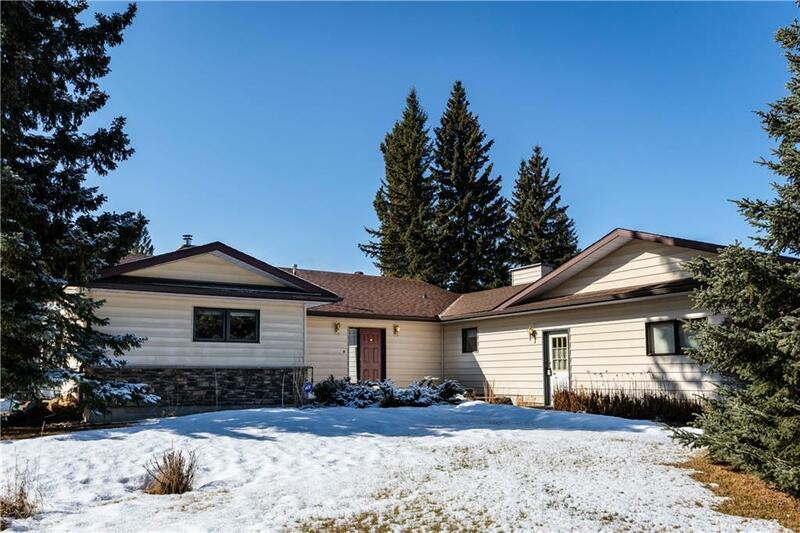 This well maintained home has it all including 4 good sized bedrooms and 3 full baths all in a park like setting!! 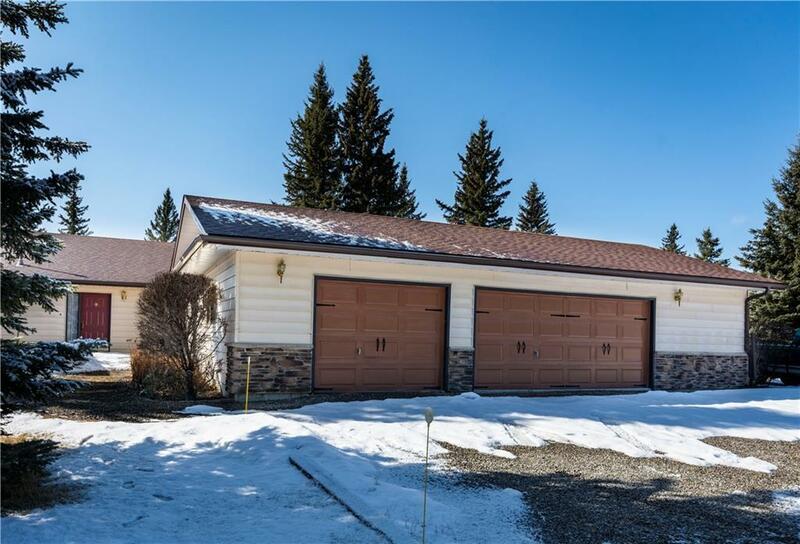 The home and triple car garage are built on a concrete slab with in-floor heat. Off the garage is an additional 2 rooms. 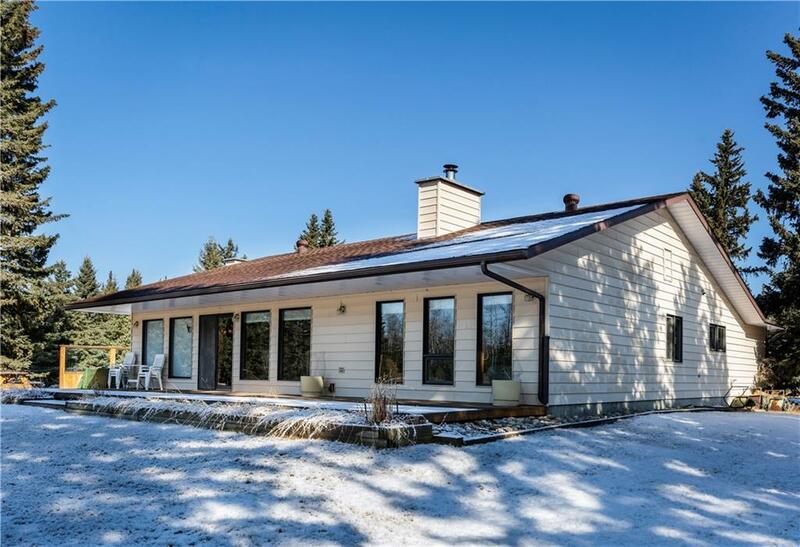 The home includes a large kitchen with tons of cupboard and counter space with eating area and a separate formal dining area for entertaining . There is two living rooms areas. The 1st is a large sitting area with built in custom cabinets open to the kitchen area, the 2nd is a huge living room with wood burning fireplace both walk out onto the totally private deck with hot tub. Oversized master suite with tons of closet space and 4 pce ensuite with soaker tub. In the large entry way off the garage is the laundry area. Great potential for a family home or rec property!